COLORGUARD Firmhold Styling Mousse special formulation contains a rich blend of conditioners and hair setting agents to condition and prevent hair from damage while you style. Suitable for use with styling appliances, hot rollers and dryers. Hair feels soft and manageable. 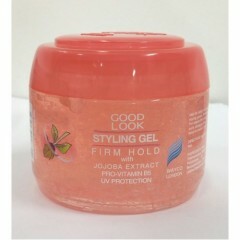 Best used on colored hair for vibrant and long lasting colors.